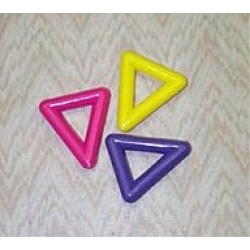 2" Heavy duty plastic triangles for your toy projects in assorted colors. 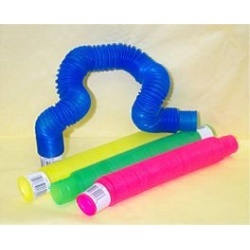 4" Plastic tube pieces for your toy making or to use as a cover over exposed chain on a toy. Fids love to use as a foot toy to destroy. Twin link people. Great foot toy or addition to your toy projects!! 3 in. L X 2 in. W approx. Twist, pop, bend or connect tubes in various colors. Use in toy making or interweave through cage bars. A great tear up toy for your fids. Approx 26" long when pulled all out. 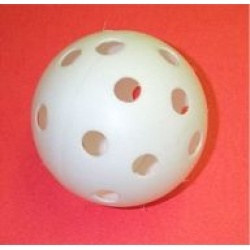 4" Wiffle ball for your toy making projects!! 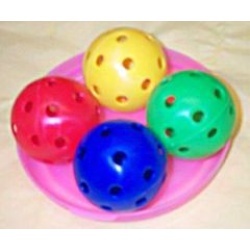 3" Wiffle balls are great for quiet play. Great for toy making projects. Easy for birds to grab and toss. Four different colors and sturdy plastic.